The second collection of romantic and poignant poems from Atticus, the No.1 Instagram poet. 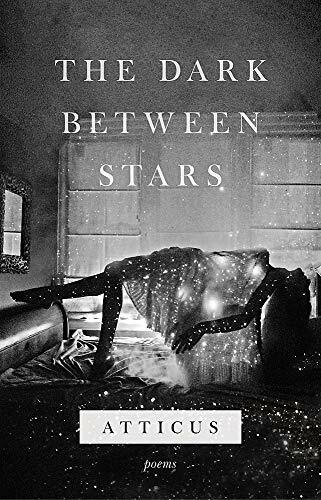 Now a New York Times bestseller From the internationally bestselling author of LOVE HER WILD comes THE DARK BETWEEN STARS, a new illustrated collection of heartfelt, whimsical, and romantic poems from Instagram poetry sensation, Atticus. Atticus has captured the hearts and minds of nearly 700k followers (including stars like Karlie Kloss, Emma Roberts, and Alicia Keys). In his second collection of poetry, The Dark Between Stars, he turns his attention to the dualities of our lived experiences = the inescapable connections between our highest highs and lowest lows. He captures the infectious energy of starting a relationship, the tumultuous realities of commitment, and the agonizing nostalgia of being alone again. While grappling with the question of how to live with purpose and find meaning in the journey, these poems offer both honest explorations of loneliness and our search for connection, as well as light-hearted, humorous observations. As Atticus writes poignantly about dancing, Paris, jazz clubs, sunsets, sharing a bottle of wine on the river, rainy days, creating, and destroying, he illustrates that we need moments of both beauty and pain = the darkness and the stars = to fully appreciate all that life and love have to offer.